Connie is a newborn, children, maternity and family photographer for the greater Portland, OR and Vancouver, WA area.She offers studio newborn photo sessions in her home studio in Vancouver, WA. 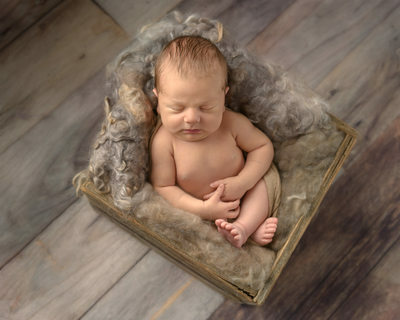 Connie creates and captures the most delicate and organic newborn portraits. the best time to have your newborn photography session taken is within the first 14 days of life. 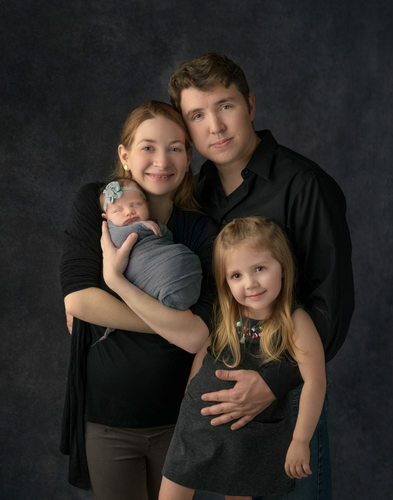 The best time to book your session is during your first and second trimestester, as Connie only photographs a limited numberof newborns every month. Her love is to capture your newborn's precious first days of life and to create lasting memories of each and every cherished milestone as your family grows. 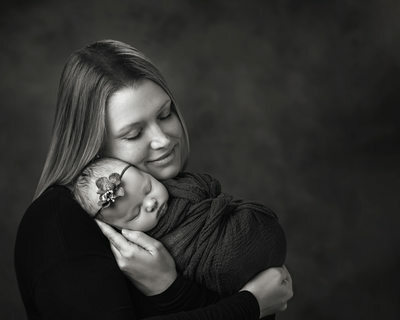 As a professional newborn photographer,she is best known for her artistic lighting and skillful posing techniques. She has an innate ability to calm babies and is professionally trained in the best soothing techniques. She works alongside an assistant and your baby's safety is our number one priority. Everything is done with safety in mind. 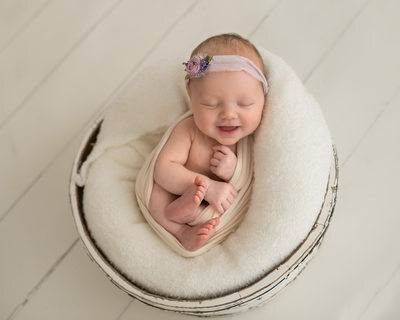 She has studied under the most experienced newborn photographers in the world and proudly bring her experience to each photo session and skilled in safe posing newborn techniques that can take years to perfect. Bringing a baby into the world is a miraculous occasion. Welcoming a new member of the family is a joyous moment. After creating and nurturing life for 9 months, you finally have an opportunity to meet your child! These are some of the most special and unique moments of your life, but they can pass by so quickly. It’s important to document these moments in photographs so that you can cherish them for years to come. Newborn infants are tiny beings for a very short time. Capture this very brief but heartwarming moment in your baby's life by having portraits done; Connie knows how important it is to capture those first precious months with newborn baby photography. 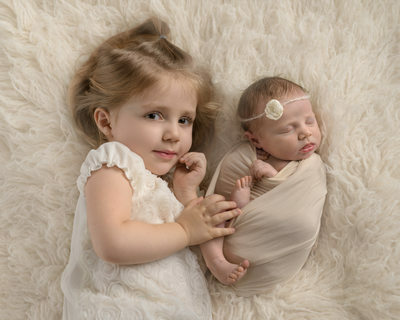 She specializes in newborn photography and baby portraits that you will cherish for many years to come. 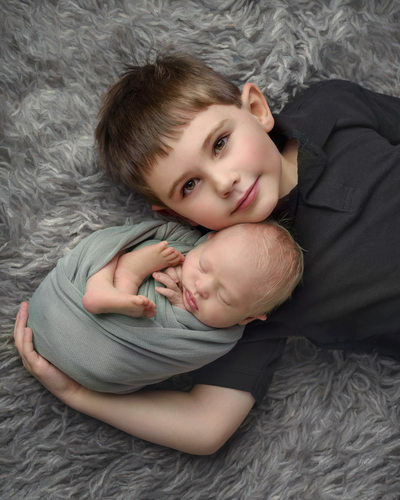 She’s a professional photographer with 20 years of teaching experience and working with children, which has helped her when she talks and interacts with kids and newborns. She puts your newborn in adorable poses that will capture your little one's special personality that will sure warm your heart. Taking photos when your baby is asleep, it’s the best option. 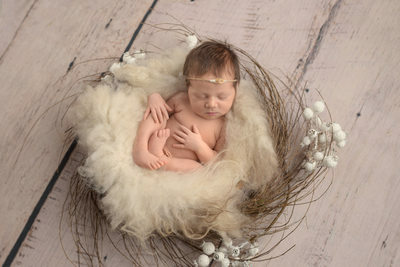 So try to keep your baby awake for 1-2 hours prior to coming into the studio; this will help Connie get them into cute poses, and also lets her use props more effectively. The best time for newborn photography is in the first fourteen days of life. During this time they sleep more soundly and curl up into precious poses more easily. Your precious little ones won’t stay little for long. That’s why Connie Mintz is here to help you and your family capture those precious early memories with newborn and baby portraits. Make sure you schedule your newborn portraits when your baby is between one and three weeks. It is always a good idea to feed your infant prior to leaving home. This will allow their little tummies to settle and reduce spitting up and fussiness. Connie would love to provide these photographs for you. I have worked with children and families in the local school system for over 20 years. Therefore, the most important part of my newborn photography sessions is the child’s safety. My in-home professional studio has access to lots of natural light. I also own tons of backdrops and props meant to keep your child safe while highlighting their beautiful features. Of course, there is plenty of room for you to stay near your child while I work with them. You can feel confident that I will take care of everything and you can feel free to take a few minutes to yourself and relax while I take the pictures. We’ll quickly work through a number of comfortable positions and poses that will bring out your newborns individual features and then, have him back safely in your arms. I think that it’s best to photograph newborns within 14 days of their birth. That way they still have that newborn glow, and the unique attributes that they’ll grow out of far too quickly. I recommend booking your sessions 1 to 2 months in advance, so it’s best to contact me about 8-10 weeks before your due date. That way we can make plans in advance and I can keep my schedule open to accommodate your needs.